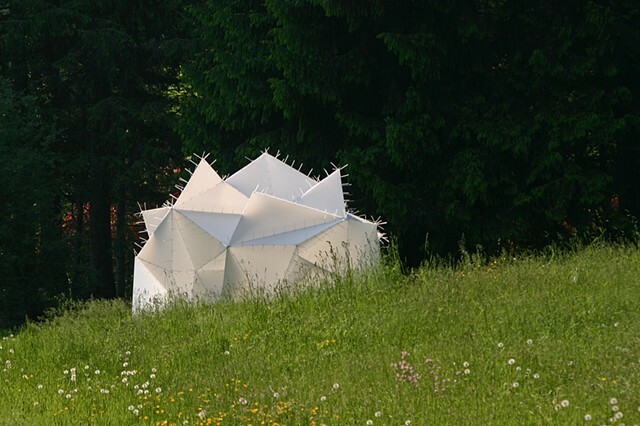 Translucent panels sewn together create a cellular structure, in appearance dictated by an underlying logic but instead the result of a random configuration of components repetitive in form but not proportion. Sanctum provides an environment defined by light, abstract form, sound, and movement. Those occupying Sanctum become fluid components of the sculpture's identity.